Your website is up.You’re getting visitors.Things are looking up. But is your site secure, or are your visitors getting a lovely “Not Secure” message when they visit your site? (Google Chrome pushed an update on July 24, 2018 to show this message on any site that doesn’t have an SSL certificate.) 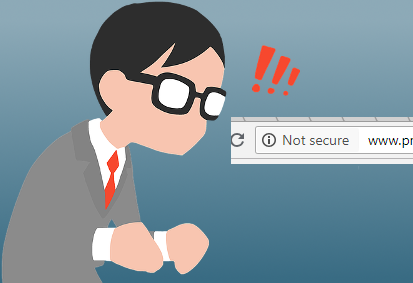 In this day and age, you NEED an SSL certificate(that nice green padlock) on your website.